Below is a random list of things I would like to do/accomplish in the coming year. I think it's important to write these down because as time flies by and life gets crazy, I find it difficult to remember these, which in turn makes it impossible to achieve them. Plus, by sharing them with all of you, there is a little bit of accountability to follow-through on my part. As I achieve these goals, I will share with you a post about how/when I achieved each of them. 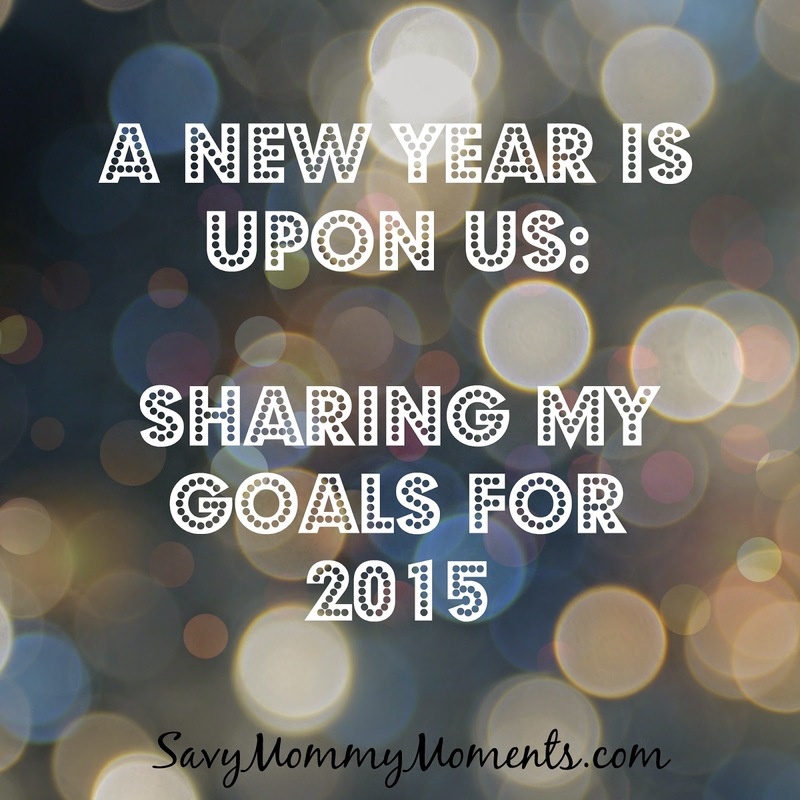 In turn, I hope you are inspired to share and achieve your own goals in 2015! Don't be afraid to write them down and share them. No matter how big or small they are, they are important to you! Keep a planner for personal appointments/events. Keep a tighter family budget. Remember that every day is a new day and enjoy the moment and not worry about yesterday or tomorrow! Do you have goals for 2015? If so, please feel free to share them below!